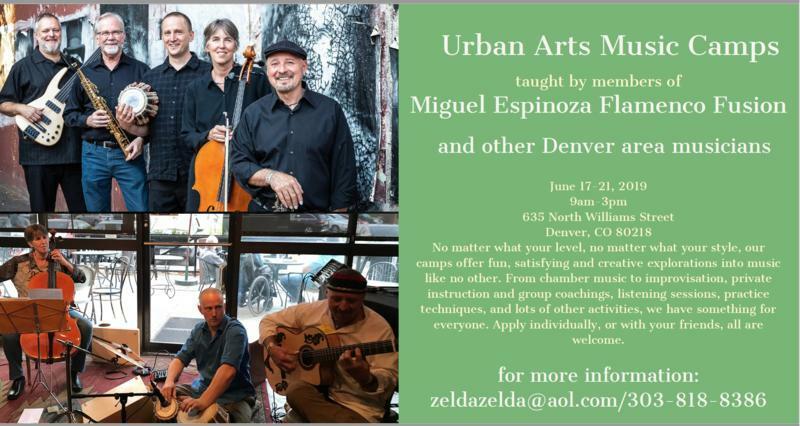 Urban Arts Music of Denver is announcing its first week-long summer music camp, June 17-21, 2019 from 9:00 a.m. – 3:00 p.m. No matter what your level, no matter what your style, our camp offers fun, creative and exceptional explorations into music like no other. 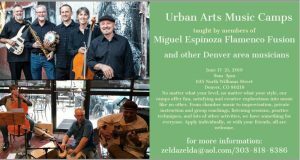 From chamber music to improvisation, private instruction and group coaching, listening sessions and practicing techniques, master classes and drumming sessions, as well as lots of other activities, we have something for everyone. Apply individually or with your friends, we’ll help you make lots of wonderful music! This music camp is for students of all abilities and styles – this isn’t your usual music camp! There will be lots of unusual and creative opportunities at this camp. It is a unique camp that can accommodate a lot of different student levels at one time, helping everyone learn at their own pace and have a relaxed fun time as well. *There will be rhythm classes, with the drums that are made/decorated by the students, which are not yet incorporated into this schedule but will be. I am in the process of creating a web site for it but it is not up yet.